Your love story deserves a storied setting. A wonderful experience awaits you at this unique and historic venue. Located in the arts district of Downtown La Crosse, WI, the Pump House Regional Arts Center is a non-profit organization with great spaces suitable for both small and large gatherings. The building’s timeless elegance radiates from its historic woodwork accents, twin vaulted ceilings, and hand-finished wood floors. Magic and memories are made in its many available spaces: three beautiful art galleries, a jewel box theater, a lush courtyard, a conference room, and a multipurpose art studio. Rentals of twelve hours also include access to state-of-the-art projection and sound equipment, tables and chairs, dressing rooms, and more! It’s all yours at the Pump House. We look forward to working with you to make your event memorable! Your rental agreement also includes set-up of tables and chairs from Pump House inventory, standard utilities, and normal post-event janitorial services. You also have the option of renting the Pump House for three hours or less during regular business hours. Great for smaller, intimate events! Renting the Pump House is an excellent way to support the La Crosse arts community while celebrating all of life’s events in a beautiful setting. Contact us today to start planning an event to remember! The largest exhibition space features 1,500 square feet of hardwood floors and state-of-the-art lighting. This exceptional space can be decorated for formal events or set-up for casual cocktail and social hours, receptions, and other occasions. 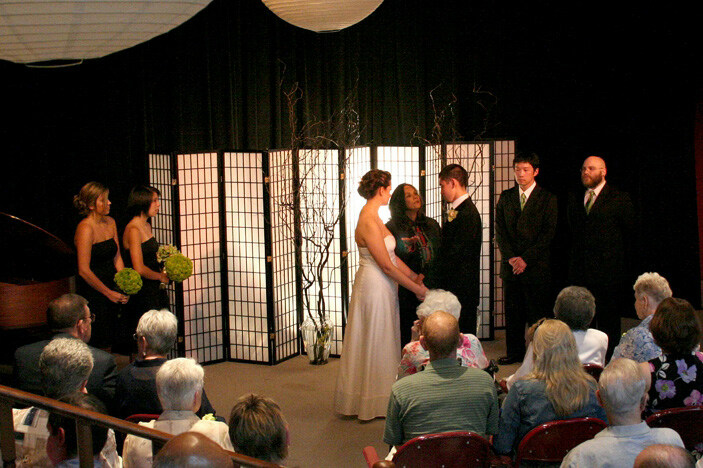 With seating for 140 people, the Dayton Theater is an intimate venue for performances, wedding ceremonies, and other events. Amenities include state-of-the-art sound equipment, a 14’ screen, and a Steinway grand piano. Overlooking the Front Gallery is one of the most beautiful interior balconies in the region. This historic artisan railing, complimented by new exhibition lighting, creates a great space for cocktail and social hours. The original vaulted wood ceiling adds dramatic warmth to the space. 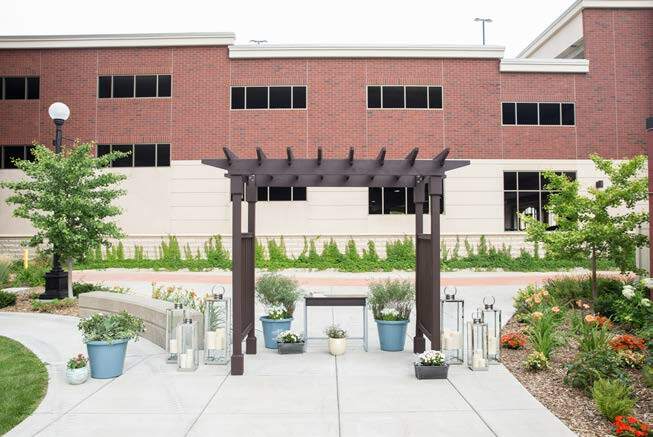 This scenic outdoor space is great for ceremonies, performances, family social hours, and more. Beautifully landscaped, the Pump House Courtyard also comes with the assurance of the indoor venue in the event of inclement weather. 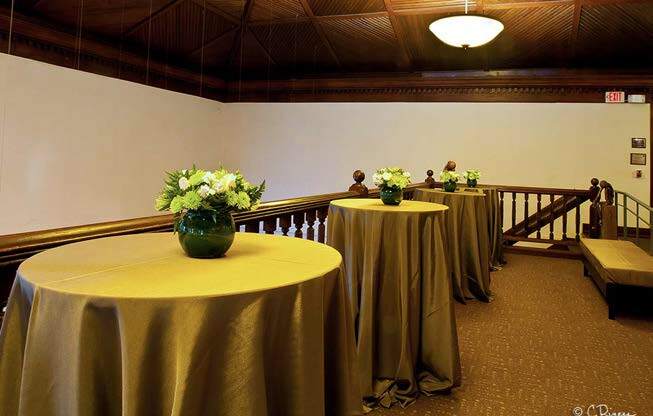 Conference Room – This meeting space is the perfect staging area for wedding parties. It is also available for classes, workshops, board meetings, and other events. Art Education Classroom – Inspire and entertain your guests with hands-on visual arts. Upon request, the Pump House instructors provide a personalized activity for your guests. Projects can be customized for all age ranges and skill levels. We have an open catering policy and are happy to work with the caterer of your choice. All alcoholic beverage services are provided by The Pump House Regional Art Center. 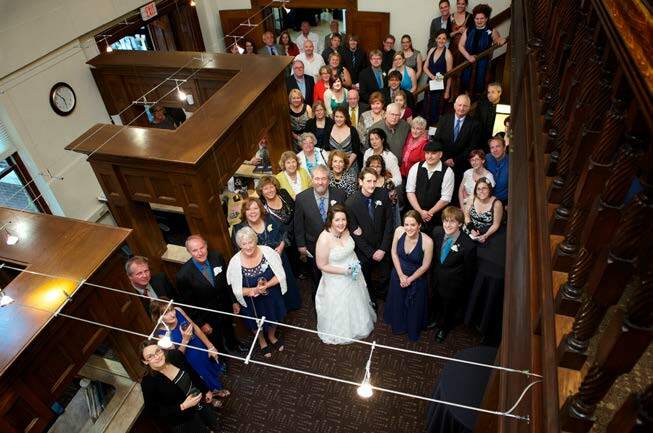 We offer a variety of options and will accommodate a cash bar, a hosted bar, or a combination the two. Sales tax and a service fee are attached to all hosted amounts. The Pump House beverage menu is subject to change. Beer, wine, and liquor not listed may be available upon request. Special requests may require a full case purchase. Book your event at the Pump House! 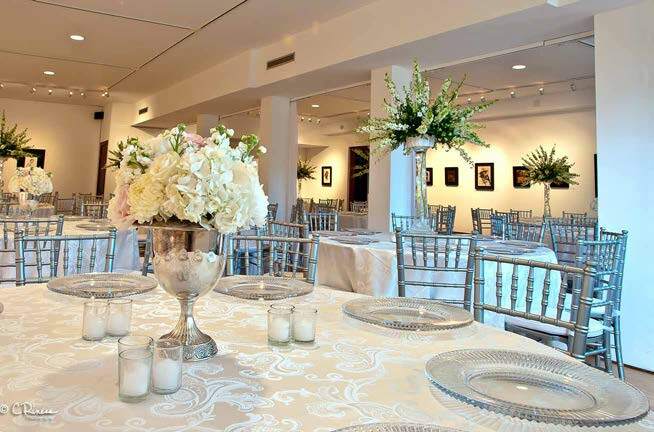 Whether you need the Kader Gallery for a Tuesday afternoon or every space for an entire Saturday, we are sure to have a package that perfectly suits your event. Please note all rental times are to include set-up through load out. Includes common areas and your choice of one of the following: Dayton Theater, Kader Gallery, Conference Room, or Art Room. Reservation may be up to 3 hours long, within the timeframe listed below. $10 per person, $100 minimum. This collection is appropriate for meetings, rehearsals, presentations, or classes. Monday – Friday…..up to 3 hours between 10 am and 5 pm. Saturday…..up to 3 hours between noon and 4 pm. Discounts are available for non-profit organizations. Inquire for pricing. Hold Policy – The Pump House will tentatively hold your date for 72 hours without a deposit and signed contract. During this time, if another party requests the same date you will be notified and given 24 hours to sign the rental agreement and submit a deposit. Tentative reservations are automatically released if not confirmed within the 72 hour window. Reservations – Your specific date and time are reserved upon completion of a contract and payment of a security deposit. The security deposit is equal to 50% of your rental rate. The rental fee payment is due 6 months in advance of your event. Cancellations – The security deposit and rental fees are nonrefundable. Cancellations made at least 6 months in advance of the reserved date are not subject to rental fees. Settlement – A final settlement will be made within 15 days following your event. Your security deposit, less applicable fees if any, will be returned by this date. Pump House Regional Arts Center reserves the right to make changes to any of the enclosed information. Rates and policies are subject to change.